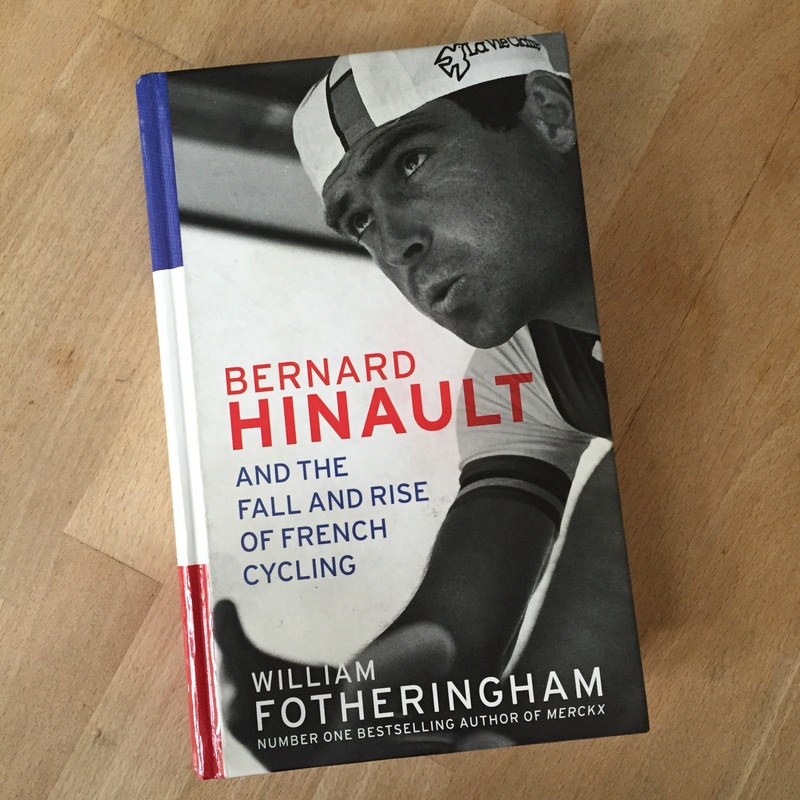 It’s rare that two words can sum up a book but “Essential Reading” would go a long way to adequately describe William Fotheringham’s utterly compelling biography of France’s greatest cyclist and the tangible vacuum that was created when he hung up his bicycle after a relatively short, but illustrious career. Bernard Hinault knew a thing or two about vacuums. After all he had, almost single-handedly stepped into the Merckx-shaped void that had yawned open in cycling’s consciousness in 1978. Powerful on all terrains and without equal to his closely focussed tenacity, Hinault was dubbed the ‘next best thing’ long before his deliberately delayed Grand Tour debut in 1979. He would go on to win nine of the next ten that he entered. The count of victories is one thing but the manner of the victories also stands Bernard apart. The Badger (the nickname by which Hinault is still universally known) bossed the peloton in a style not seen since. For the next few years he was the strongest physically and mentally, and he was happy to wreak havoc of both kinds on those that he saw as his inferiors. 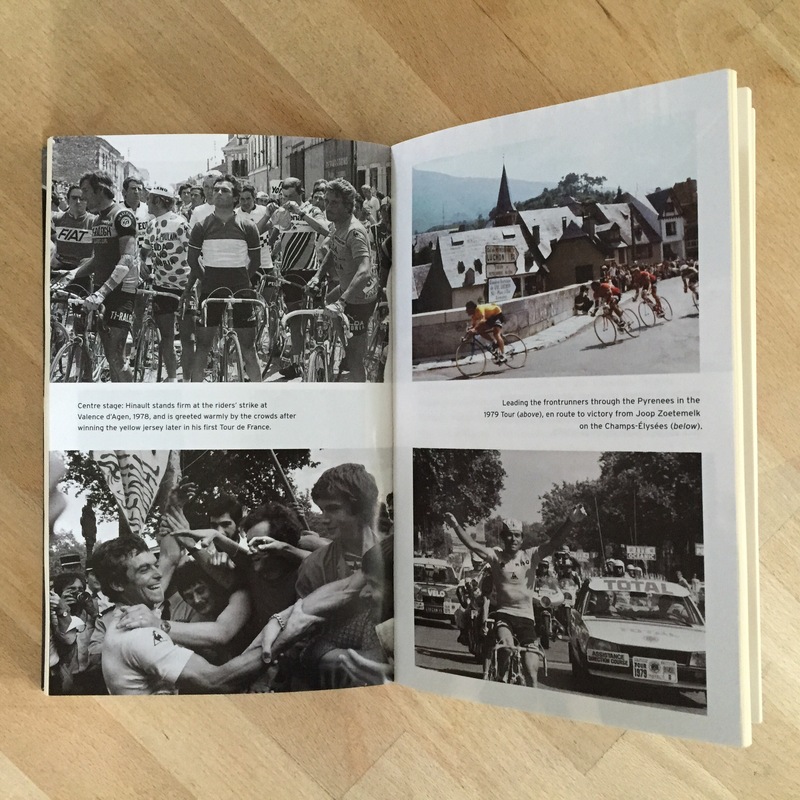 Fotheringham’s hugely readable book charts the humble beginnings of the Badger’s life in rural Brittany, where the network of local amateur races shaped the young man, through to the golden years where Hinault bludgeoned – literally and figuratively – all those who dared to try to stand before him. The tales are both legion and legendary: the riders’ strike of 1978, the epic snowstorm of the 1980 Liege-Bastogne-Liege, the fight with striking miners in 1984 and, of course, the internecine warfare with Greg Lemond in the 1986 Tour. All are here alongside many other facets which serve to paint a fuller – though never more compromising – picture of the last French winner of the Grand Boucle. It’s quite simply superb. Fotheringham knows his man and his material exceptionally well. Having raced in Northern France not long after the young Badger he has an innate affinity for the early years; as translator of Laurent Fignon’s wonderful autobiography and a close watcher of LeMond, he also has an ear and eye for the opponents of Hinault: those that came, saw, and were invariably conquered. Fignon and Lemond are the unusual characters in that they both ‘triumphed’ over their former team leader at some point and it is right that their voices are well to the fore. Other voices are also welcome additions to the more familiar tales. Paul Koechli, Hinault’s trainer on the roller coaster ride of the La Vie Claire team of 84-86, is portrayed more favourably than many accounts allow, and our understanding of those tumultuous years improves immeasurably as a result. 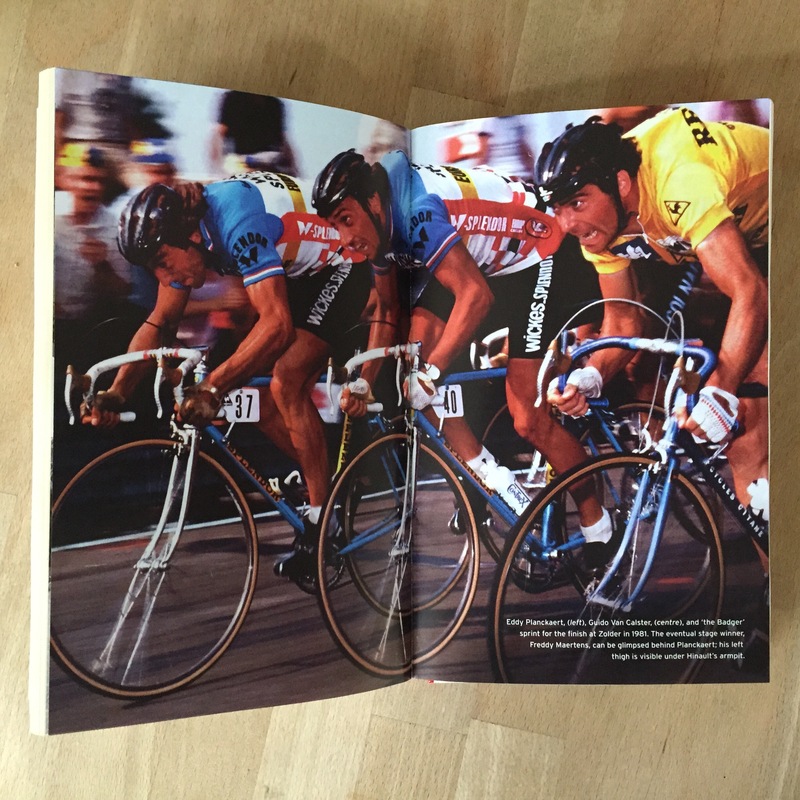 A trio of other Bernard’s – Thevenet, Tapie and François – add depth, colour and reality to the tale in turn and Fignon almost steals the show, even from beyond the grave, with words that can combine victory and regret like no other. Where Fotheringham really excels though is in the “context” that he provides. By opening up the biography format to become a wider questioning on the state and future of French Cycling in general he runs the risk of either over or understating Hinault’s position within it and, structurally at least, ending on a bum note. He skilfully avoids both, setting the Badger solidly in the pantheon of the greats whilst opening the door for new names to carve their own separate paths. The relative success enjoyed by the French in the 2014 Tour de France no doubt played a significant part in this decision and, rather than being a damp squib at the end of a fantastic firework of a biography, it allows a sense of hope one belief to exist where for over twenty years there has just been the overshadowing legacy of The Badger. Of course it is Hinault who dominates the book, just as he bossed the peloton in his heyday and as he now bosses the Tour De France podium ceremonies when needed. France were lucky to have such a forceful campionissimo and they do well not to forget him. Now we get the chance too. As I said earlier: Essential Reading. This entry was posted in Le Tour de France, Product Reviews and tagged badger, Cycling, fignon, fotheringham, french, Giro, hinault, lemond, tapie, Tour de France, vuelta. Bookmark the permalink. You have convinced me. Birthday wish list coming up soon, that should do nicely. You won’t regret it. It’s a great read.